Eligible Countries: Countries outside the European Union/European Economic Area (and Switzerland). About the Award: Karlstad University Global Scholarship offers scholarships covering tuition fees in part or in full. The application for scholarship will be considered only if the application fee is paid or if you are exempted from paying the application fee. The application form will be published in this website before the application period starts. have already lived in Sweden for two years or more when the scholarship period is due to begin. have a Swedish permanent residence permit or a work permit. hold a scholarship for studies from Swedish Institute or from a Swedish university/university college. Selection: The selection process for scholarships is undertaken after the programme selection process. Priority will be given to students with high academic performance and who demonstrate a strong commitment and desire to study at Karlstad University. Scholarships cover 25%, 50%, 75% or 100% of the tuition fees. 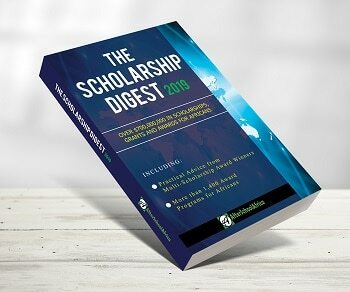 The value of the scholarship is stated in the notification of scholarship for each scholarship holder. The scholarship value is deducted from the tuition fees of the programme for which you are awarded a scholarship. Karlstad University Global Scholarships do not cover living costs. To be able to finance your stay in Sweden and get a residence permit for studies you need to show that you have funds for the total study period the first time you apply for a residence permit. For further information contact the Swedish Migration Board. A printed and signed scholarship application form, together with supporting documents should be sent to Karlstad University, International Office, 651 88 Karlstad, Sweden. The application needs to be received 1 February 2019 the latest. Late applications will not be considered. You must apply for studies at Karlstad University before applying for scholarship.